awareness for the still ongoing need for aid and relief for Typhoon Yolanda's most hard hit areas in the Philippines. Talonding, both of whom famously appeared on the Ellen Degeneres Show. A pair of American Idol 'veterans' are also in the mix in the form of Marvin Calderon Jr and Jett Hermano, while talented Filipino singers from as far away as Austria and Australia also took the time to sing 'The Prayer'. Joyce Jimenez, the sweet little blind girl from Davao who captured the hearts of netizens around the world with her soulful rendition of Miley Cyrus' Wrecking Ball is also included in the soon to be viral video. The charity video was conceptualized, arranged and edited by Derek Wanner of GRNMNGO. Proceeds of the special video collaboration will be given to charity, the company said. 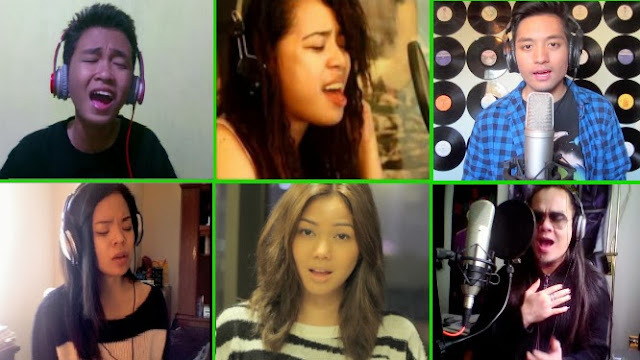 Watch: Filipino YouTube Singers Unite For Typhoon Relief (feat. Zendee 'the Random Girl', Dance with my Father Kid Aldrich Lloyd Talonding).